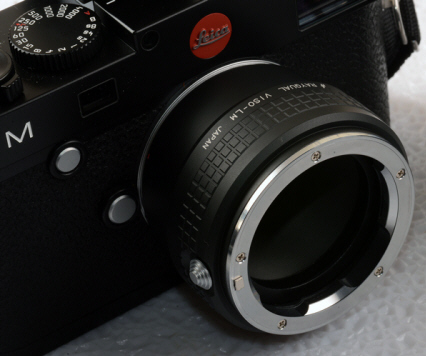 Leica M Rangefinder Visoflex Lenses and Lens Heads to Modern Nikon or Canon DSLRs or Leica M240: These are GREAT built like a tank adapters allowing Leica M Visoflex long lenses and older 65 to 135 Leica M lens heads to modern digital cameras. 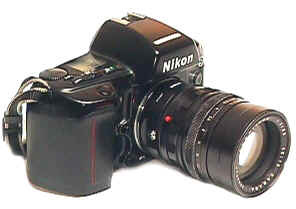 DSLRs. 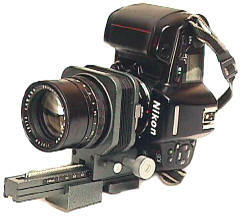 Just use the same mount configuration you would to mount your Visoflex lens on a Visoflex 2 or 3, and use this adapter instead. No glass elements, infinity focusing. Stop down TTL ambient light or flash metering, as well as stop down AE priority operation is available IF your particular camera body allows it. You can use the same Visoflex adapter with your regular M mount or Screw Mount lenses (via screw mount to M adapter) for extreme close-ups. 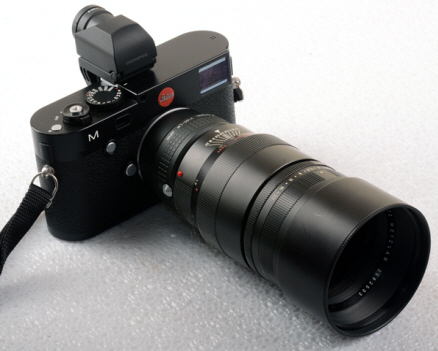 Use your discontinued Leica M Visoflex Lens or Lens head with the same adapter that would mount on a Leica M Visoflex II or III, don't confuse the older Visoflex lenses with the current in production M lenses Canon EOS or Nikon film or digital SLRs! 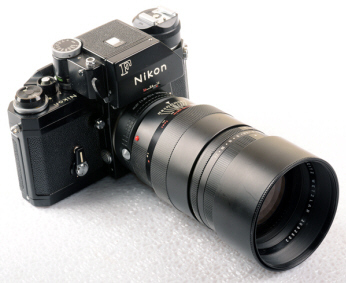 Built like a tank, they will do your Visoflex lenses PROUD! No glass elements to degrade image, infinity focusing. Stop down TTL ambient light or flash metering, as well as stop down AE priority at shooting aperture IF your particular SLR body allows it. 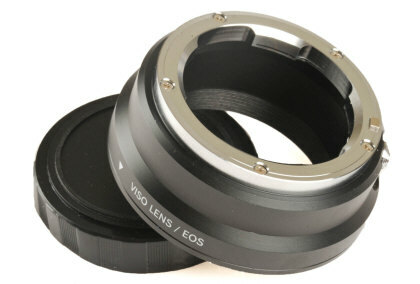 Due to the substantial extension of the Visoflex lens heads from the camera bodies via the necessary Leica focusing helical and the Visoflex SLR adapter, there are no known lens clearance problems with any Viso lens on any SLR. OK, Visoflex fans, this is it, the greatest thing since sliced bread. 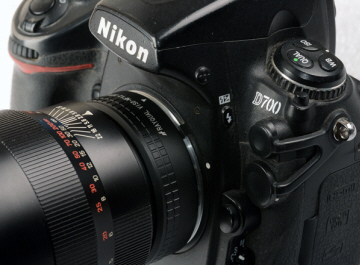 By mounting your Viso M system on a modern camera like the Nikon N90s, you can gain features like 4 fps motordrive, TTL flash metering, sophisticated data back, and 1/250th flash sync -- among others. 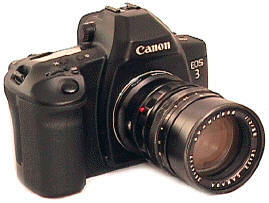 The advantages you gain depend upon the SLR of your choice. Shown above are 135/4 Tele-Elmar and 90/2 Summicron Leica M rangefinder lens heads mounted on the Leica M Bellows II, using the same Leica adapters used to mount these lens heads onto the Visoflex II or III. 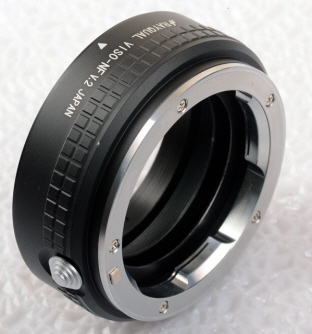 The Visoflex adapter fits between the bellows and SLR body for your Nikon or Canon EOS bodies. These adapters will work beautifully and enable you to combine parts of several camera systems. 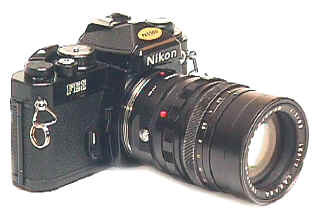 While most Nikon or Canon SLR bodies will mount the adapter and Viso M lenses with helicals, some larger bodies such as the Nikon F5 will not mount on the Bellows II without an extension tube, which may limit focusing to close ups. The Leica M240 offers live view LCD viewing/focusing and digital Visoflex focusing for the first time on a Leica rangefinder body. 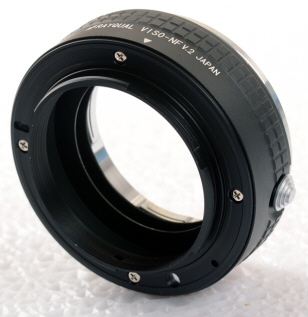 Simply replace the Visoflex II or III with the Visoflex adapter, using the same combination of adapters and helical necessary to mount that lens on the Visoflex II or III. 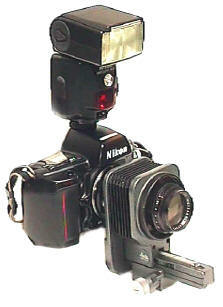 You can focus with the LCD on the back of the camera using live view, or add the digital Visoflex. 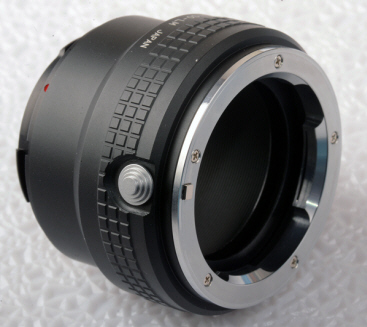 A great bonus is that you can use the Visoflex adapter as a extreme close up adapter on ANY regular M mount lens! 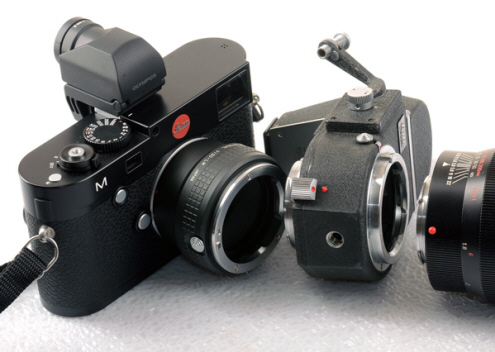 If you are new to Leica and confused by the terminology, the Visoflex is a discontinued Leica made Reflex Housing which converts the Leica M cameras to a SLR. 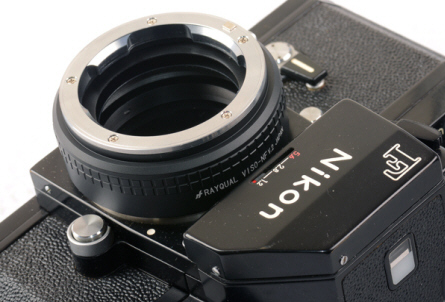 Besides using the lens heads off various 90, 120, and 135 rangefinder lenses, special lenses were made for it as well. It is long discontinued. 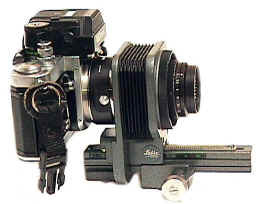 Described on this page is a new adapter not of Leica manufacturer, which allows the Visoflex M system to be used with other SLR systems, enabling the photog to combine different camera outfits. 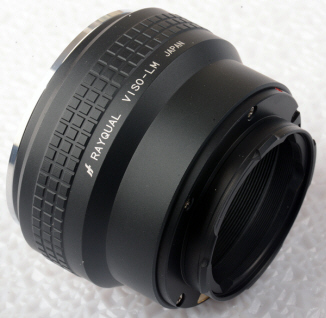 More info and a list of the various Visoflex lenses can be found here. Revised: September 09, 2017 . Copyright � 2002-2015 Stephen Gandy. All rights reserved. This means you may NOT copy and re-use the text or the pictures in ANY other internet or printed publication of ANY kind. Information in this document is subject to change without notice. Other products and companies referred to herein are trademarks or registered trademarks of their respective companies or mark holders.